The Brisbane Airport is situated about 16 kilometres north east of the Brisbane CBD and handles a lot of inbound and outbound traffic each day. For the convenience of international and interstate travellers there are a number of hotel and apartment properties located between the Brisbane Airport and the city centre, al of which provide discount rates for both last minute and future bookings. 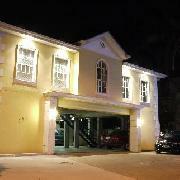 Airport Hotel provides you with information about the majority of these airport accommodation options so that you are able to choose the place that is right for you. 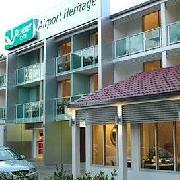 Regardless of whether you are a corporate traveller, international visitor to Brisbane, holiday maker or family the Quality Inn Heritage Airport Hotel is the perfect accommodation if you are looking for an affordable place to stay in a central location between the Brisbane CBD and the Brisbane Airport. Conveniently located in Hamilton, Brisbane the Quality Inn Heritage Airport Hotel is only 4 minutes from the Brisbane airport and 10 minutes from the Brisbane CBD, as well as being right next to the new Portside Cruiseship terminal. The friendly, helpful staff at the Best Western Airport Hacienda Motel will do everything in their power to ensure that your work or holiday stay in Brisbane is a memorable and comfortable one. The Best Western Airport Hacienda Motel in Brisbane Airport has numerous guests facilities for your convenience including lounge bar, direct internet access, free car parking, guest laundry, fitness equipment, restaurant, room service, sauna, spa, outdoor swimming pool, tennis court, tour desk, garden, airport shuttle, 24 hour reception, baby cots available and daily housekeeping. The Brisbane Airport Inn provides travellers with discount accommodation within easy reach of the Brisbane Airport and also the Brisbane city centre. The Airport Inn Brisbane Hotel & Apartments is surrounded by a variety of restaurants, cafes and boutique shopping, library, pubs and major banks. Business and holiday travellers who choose to stay at the Brisbane Airport Inn will be able to enjoy a spectacular park view and Brisbane city fringe location of the Brisbane Airport Inn, as well as being able to make the most of the very affordable rates that the property is known for. When you stay at the Airport Motel in Brisbane you will be able to make use of the many guest facilities, which includes the lounge bar, business centre, conference/meeting/banquet facilities, facilities for disabled guests, faxing facilities, free car parking, guest laundry, lift, room service, outdoor swimming pool, tour desk, garden, airport shuttle, 24 hour reception, baby cots available, designated smoking area, daily housekeeping, laundry/ dry cleaning service, non-smoking throughout, free wifi throughout, free wifi in all public areas, luggage storage, interconnecting rooms, photocopying services, safety deposit box and non-smoking rooms/apartments. Business facilities include FREE WIFI in all rooms, suites and throughout the property, a business centre, faxing facilities, photocopying services and meeting/banquet facilities. 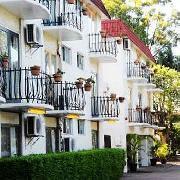 The Airport Motel Brisbane offers TRUE VALUE FOR MONEY WITH CLEAN, MODERN ROOMS, LOCATION AND FRIENDLY SERVICE. When you stay at the Comfort Inn and Suites Northgate Airport in Brisbane you will be able to make use of the many guest facilities, which includes the lounge bar, business centre, child minding, conference centre, direct internet access, disabled facilities, free car parking, guest laundry, restaurant, room service, outdoor swimming pool, tour desk, airport shuttle and baby cots available. The Comfort Inn and Suites Northgate is conveniently located just minutes from the Brisbane airport and provides high quality budget hotel and apartments accommodation at affordable rates, ideal for travellers and corporate guests. 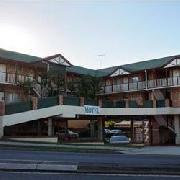 The Airport Clayfield Motel provides all sorts of different travellers with discount accommodation within close proximity to the Brisbane Airport. The property also comes with a range of modern amenities such as direct internet access, faxing facilities, free car parking, guest laundry, lift, room service, tour desk, bbq facilities and daily housekeeping. The Airport Clayfield Motel caters for business corporate travellers an has a wide range of affordable hotel rooms available that are both comfortable and well equipped to provide value for money airport accommodation. One of the best things about the Newstead Gardens Hotel in Bowen Hills, Brisbane is that it is situated on the main traffic route from the airport to the city. 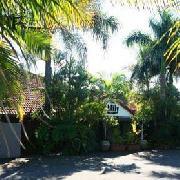 It fact the property is only 3 kilomtres from the Brisbane CBD and 9 kilometres to Brisbane Airport. The Newstead Gardens Motel has a range of double and twin motel rooms available that provide comfortable accommodation to suit the needs of both business and leisure travellers with very affordable prices for both short and long term stays in Brisbane. 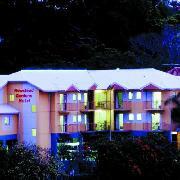 The Brisbane International Hotel Virginia is a quality property that not only features a range of well appointed hotel rooms and apartment villas but also excellent resort facilities like an outdoor swimming pool, a well equipped gym, sauna, a la carte restaurant and relaxing bar area. The Brisbane Hotel Virginia is conveniently located in the suburb of Boondall, just a short drive from the Brisbane Airport, many commercial and business precincts, the Virginia golf club, the Chermisde shopping centre and only 3 kilometres from the Brisbane Entertainment Centre. 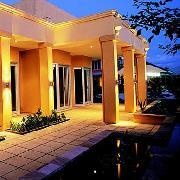 Hotels and Motels located close to Brisbane Airport offering special discount accommodation for stays longer than 1 night. You can book your airport accommodation up to 12 months in advance or at the very last minute.